There’s nothing quite like finding that special, one-of-a-kind piece for your home. 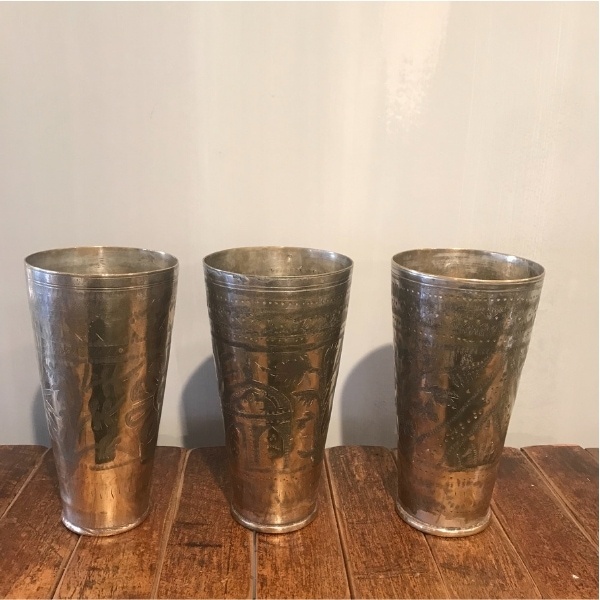 At Sara Hughes you’ll find a truly unique collection of vintage and contemporary homeware, from beautiful furniture with history engrained in its wood, to handmade, modern soft furnishings, collectable vintage Champagne glasses and unique, eye-catching accessories which create real impact in any home. And not forgetting our range of Autentico paints, with their fabulously natural finish, which breathe new life into tired or dated furniture. We can even show you how it’s done. Come along to one of our workshops! Vintage works beautifully in any style of home. In fact, most of us already combine well-loved older pieces alongside more modern furnishings. The nature of vintage means our range changes regularly and there is always something new to discover in-store. 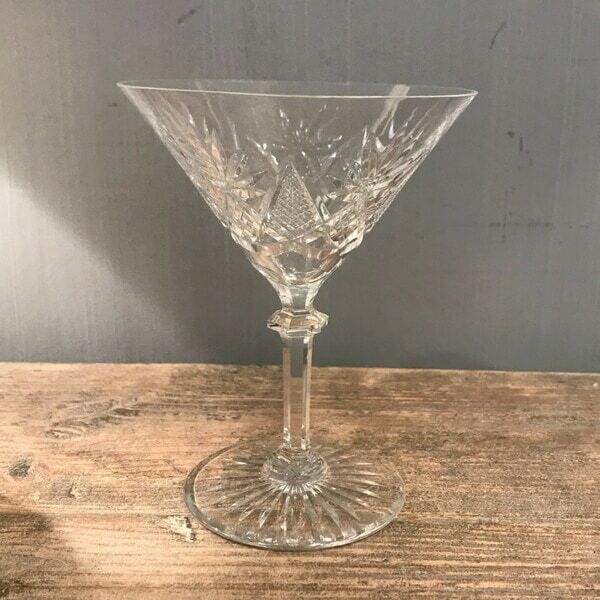 Explore some of our current collection of vintage furniture, glasses and accessories below and then phone us to reserve your favourite. 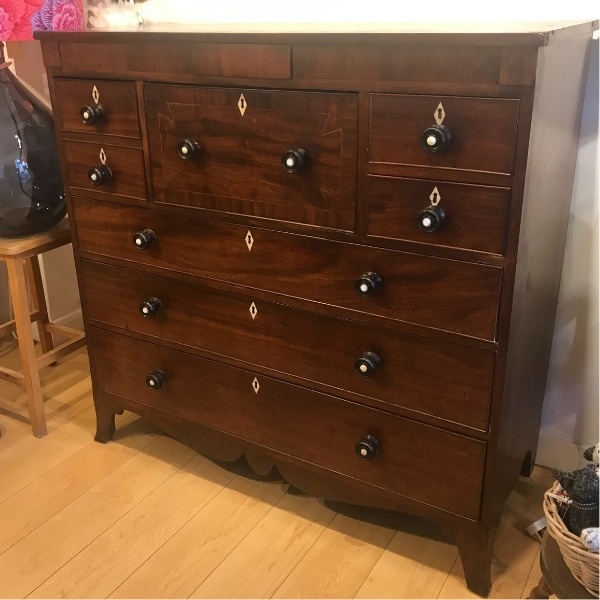 Bring character to your home with a fabulous piece of vintage, solid wood furniture. Tables, chairs, cupboards, dressers and drawer units, all selected for their unique charm. Our vintage French and Belgian Champagne saucers are stunning! Made from glass or crystal, the shallow bowl with slender stem design is highly fashionable in all the most exclusive bars. 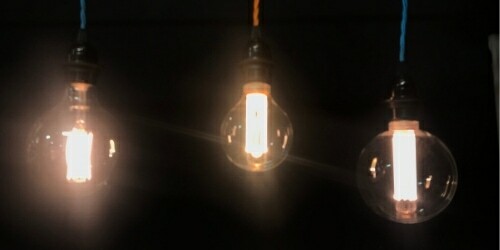 Vintage accessories are a wonderfully distinctive, cost effective way of quickly and easily updating the look of your home. And they make delightful and unique gifts too. Our ever popular range of modern designs continues to delight and offers the perfect finishing touch to your home decoration. 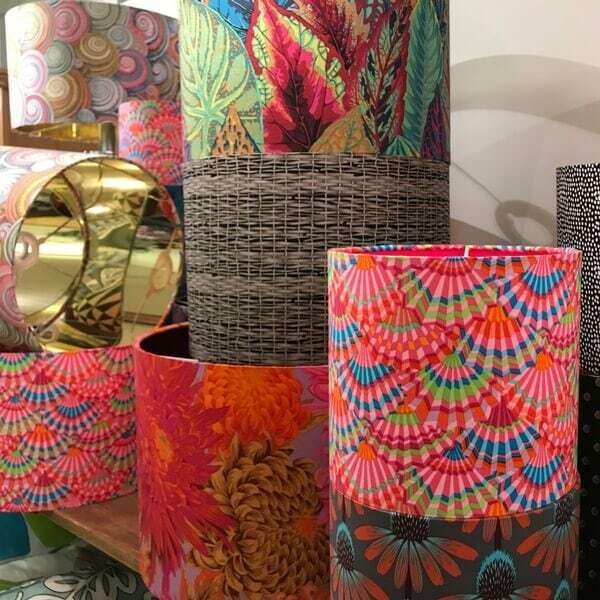 Whatever your style, we stock a range of distinctive pieces including inspirational prints and wall décor, beautiful soft furnishings, our much talked about bone china mugs, eye-catching candlesticks and hurricane lamps, gin glasses for your favourite artisan gin, and Sara’s contemporary, handmade lampshades. 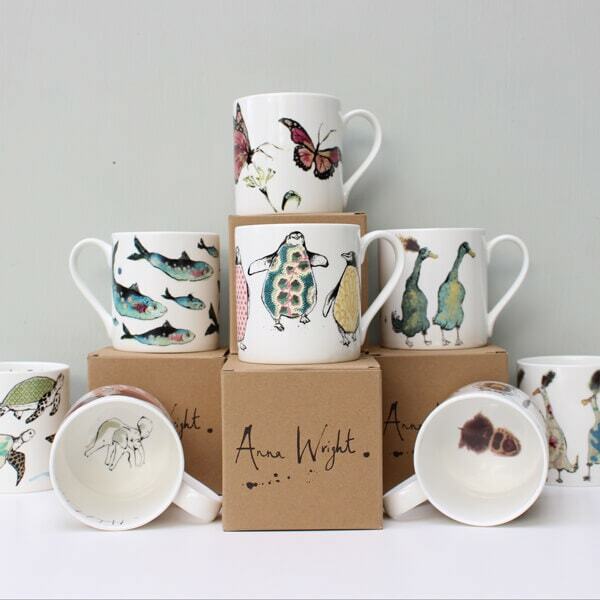 Artist Anna Wright proves that design really is everything! Her bone china mugs are one of our top sellers and continue to delight our customers. 23 irresistible designs to collect. Since Sara began making lampshades they’ve been creating quite a stir. Cool neutrals. Quirky brights. Charming bird and animal prints. You’ve really got to take a look at these! Autentico manufacture superb quality paint with a flat chalk finish, allowing you to transform tired or dated furniture into beautiful statement pieces for your home. It’s easy to use, quick drying, provides excellent coverage and is extremely versatile. If we could use one word to describe Autentico paints it would be ‘magic’! We stock 160 Autentico paints across two ranges, perfect for all kinds of surfaces in your home and garden. We also sell Autentico’s full range of waxes, brushes, preparation and finishing products, sealers and glazes. 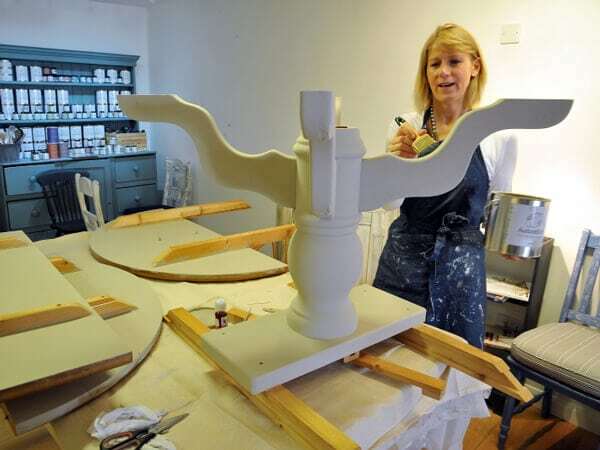 Learn how to rejuvenate much-loved but tired pieces of furniture, or reinvent fabulous junk shop finds, at one of our practical and fun Autentico paint workshops. A word of warning – it’s addictive!